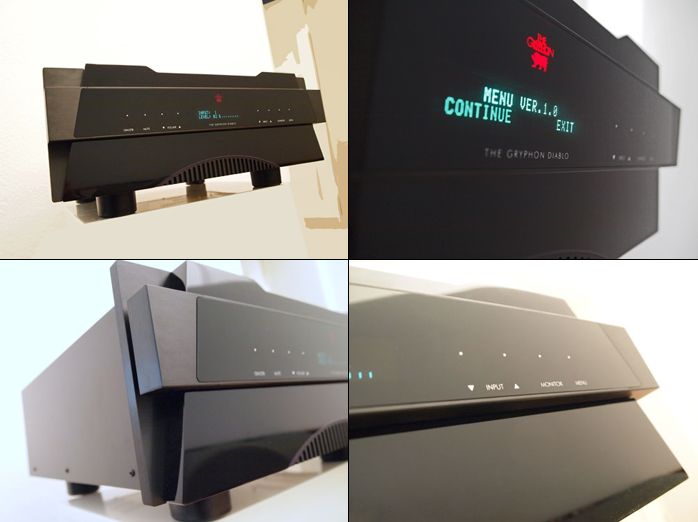 This review first appeared in the August 2012 issue of hi-end hifi magazine fairaudio.de of Germany. You can also read this review of the Gryphon Diablo in its original German version. We publish its English translation in a mutual syndication arrangement with the publishers. As is customary for our own reviews, the writer's signature at review's end shows an e-mail address should you have questions or wish to send feedback. All images contained in this review are the property of fairaudio or Gryphon - Ed. If you’ve got five-figure funds to invest in amplification, it needn’t always be about a pre/power combination. Sure that would be reassuringly ‘official’ and physical separation of preamplification (mostly attenuation really) and power amplification lowers parts density and potential interference. Monos go even further with dedicated power supplies per channel. With its biometric data Gryphon’s bigger dual-mono integrated—we reviewed the smaller Atilla about 18 months ago—makes for rather official rack fill. There’s 250wpc into 8 ohms of muscle mass, 30kg of fighting weight and beefy 48 x 21 x 46cm WxHxD size to turn this winged dragon into an unquestionably fully grown monster amp. Whilst the Danes are purveyors of also €30.000 preamps (Pandora) and €100.000 monos (Mephisto Solo, price per pair, no worries), their website performs surprising but explicit championship of their integrated models: no fuss with interconnects; shorter signal paths; and not least the trivial fact that development and manufacturing needn’t reserve a budget for two separate chassis. 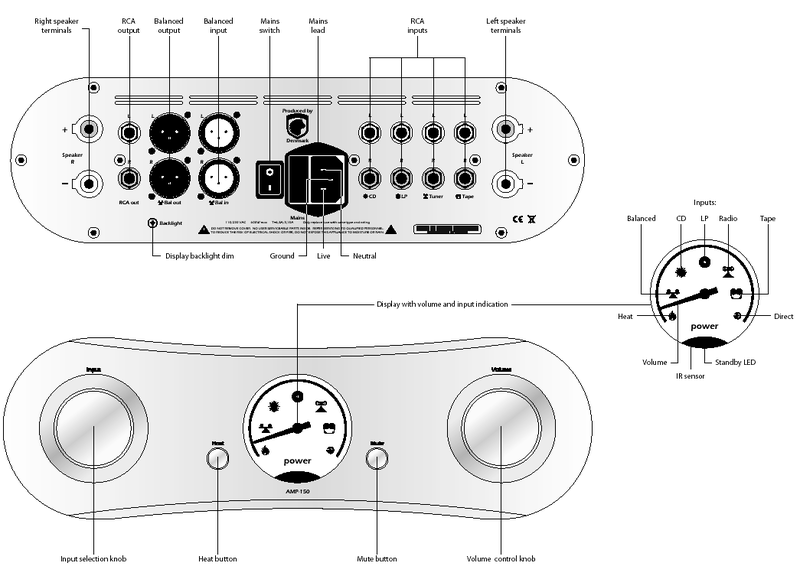 One instead gets to invest in what matters most – circuit design. Obviously that’s relative to price class. Above a certain sphere enclosure costs should factor less on the calculator. But be that as it may and all personal biases aside, more important than concepts is how they’re realized. And to quote German ex-chancellor Helmut Kohl’s 30-year old still unassailable postulate, "what comes out at the other end". So let’s put Gryphon’s Diablo on the fork lift and cover basic features before taking it for a sound spin. Features and tech. 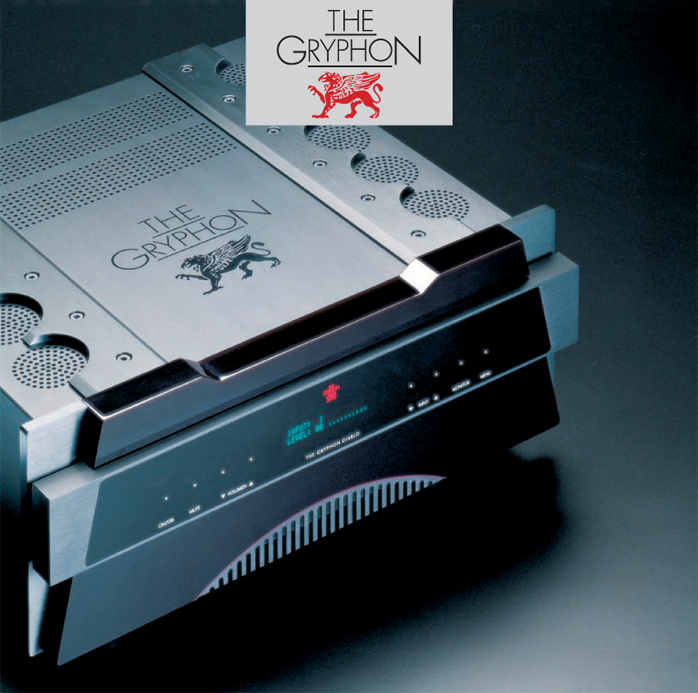 On the former there are five mechanically solid inputs on the Gryphon’s tail end, with one XLR set below which I used predominantly for my auditions and which the firm confirms is sonically slightly superior. That’s not always a given and occasionally also matter of taste but also true for my work horses of Fonel components and Funk MTX preamp. The inputs can be named up to eight letters long and you can determine max allowable SPL, the volume setting upon power on and display brightness (completely off is possible too). Input 3 can be set to volume bypass for AV purposes. Issuing a warning for something this obvious is nearly trite but personal oversight has been no stranger to heart-attack inducing incidents so be mindful when sending full-strength signal to the outputs. Steering through all this functionality of menu and monitor options is via touch-sensitive surfaces front left and right. On this count the Diablo wasn't a 100% usability monster. Things weren’t completely intuitive and at first it was quite easy to press wrong. But a superb English owner’s manual is included and one won’t make daily changes to these adjustments in the first place. For outputs there are fixed and variable sockets (tape and sub-out respectively) and highly commendable massive yet very grippy speaker terminals which are good for bananas and spades.